Essentials is a transferable, step-by-step training manual designed to answer common questions raised by Christians who want to understand more about the biblical essentials of their Christian faith. 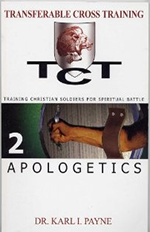 Apologetics is a transferable, step-by-step training manual designed to answer common objections raised by sincere or not so sincere individuals who want to challenge or criticize Christians or the Christian faith. 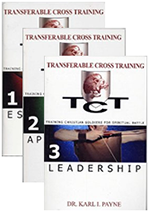 Leadership is a transferable, step-by-step training manual designed to answer common questions and concerns that Christian leaders must be prepared to address in hopes of establishing and sustaining effective ministry. Purcase the entire set of TCT training Manuals. 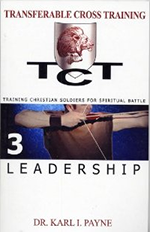 TCT 1: Essentials, TCT 2: Apologetics, and TCT 3: Leadership. 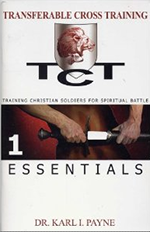 is a transferable, step-by-step training manual on spiritual warfare. 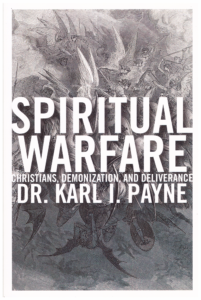 It focuses on clarifying and explaining "how to's" for recognizing and resolving attacks from the world, the flesh and the devil.